Currently focused on the importance of a reference architecture for the digitization of oceans. 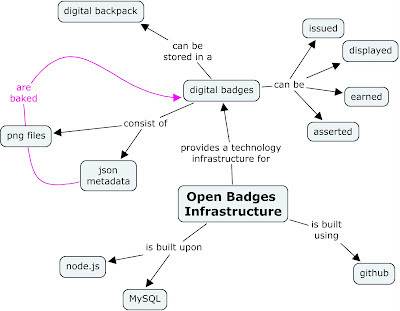 Open Badges Infrastructure (OBI) - the OBI is the technology platform which hosts the important aspects of the badges out on the internet. This github wiki page has a really good diagram of the OBI. digital badge - the digital badge is the online equivalent of the traditional badge for achievement. Think girl or boy scout badges. You prove mastery of something, you get a badge. digital backpack - the digital backpack is like the sash for the scout badges. It serves as an online place to store, manage and organize your badges. issued - badges are issued by a group, institution, master, supermentor, online university, learning community, etc. Any organization who has skills and knowledge they want others to possess can issue badges. These organizations / communities should be considered badge issuers. displayed - badges can be displayed separately from the issuer. 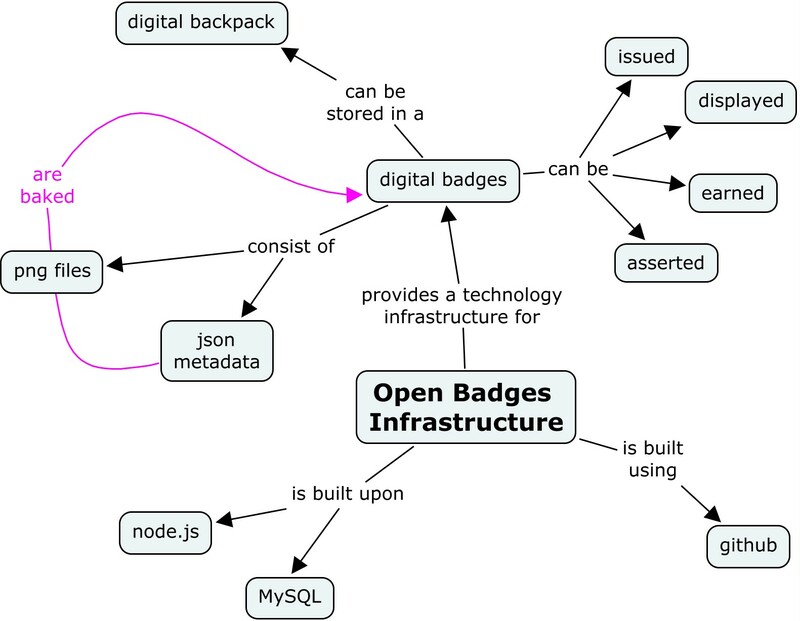 Online references can be made to badges in a backpack and they displayed. Facebook or LinkedIn can be displayers. earned - badges can be earned by learners. An issuer will create, or be associated with, learning environments and once a learner has demonstrated competencies they can earn badges. png files - the graphical images of badges are png files. json metadata - is data about the badge that can be stored as part of the actual badge. This links back to the baking of a badge. github - is the software management and developer community platform for open badges. All views expressed on this site are my own and do not represent the opinions of any entity whatsoever with which I have been, am now, or will be affiliated. They are views created by my many years as an IT professional and, more importantly, an enterprise architect responsible for building large and distributed systems.